Focus + Time = Mastery. Whatever we focus on expands. Simultaneously, all other things grow blurry and fall out of view. Notice that distractions don’t cease to exist. They simply cease to matter. 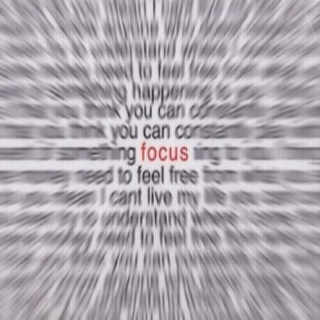 Focus is perhaps the most overlooked ingredient in personal development. It would seem that focusing on a single thing is simple. And yet, very few people choose to do it. Let’s take an example using something that almost everyone says they want: more income. There are countless ways to generate income: real estate, investing in the stock market, network marketing, starting a business, selling things on ebay, flipping houses, inventing a product, etc. The average person decides he wants to make more income and simply dreams about it among the millions of thoughts he has every day. The above average person actually takes some action and it goes like this. She hears that flipping houses is a good way to make money, so she buys some books, attends a seminar, and then “gives it a try.” It’s hard for her to find a deal that meets the criteria she learned so ultimately she finds a deal that’s “close.” It doesn’t go very well and she actually loses a little money on the transaction. She decides that the talk about flipping houses was all hype to sell books and seminars, and she moves on. Then she hears the market is coming back so she decides to get into investing. She buys some books and subscribes to investor newsletters. She puts some money in an account and starts making trades. A few months in she is down a couple thousand dollars and decides this is for the birds. Only the wealthy who can afford to lose a bunch of money can play this game. She again moves on. A few months later, her friend invites her to a network marketing meeting and the company seems to be really hot with a lot of momentum. Everyone is excited. She decides, “I’ll give this a try.” Without reading any books or going to any training she tries to “sell” it to her friends. Many of them know nothing about capitalism and brand anything in which someone can earn money on the efforts of others as a “pyramid” (not considering that’s what their boss does every day) and reject the idea. Our would-be income earner says to herself, “I should have known. These things don’t work!” She again moves on. Do you see the problem? She has no focus. She gives her efforts no time. Therefore she never gains mastery. Now let’s think of some of the people that come to mind when we think of income and/or wealth. The people who win are the people who focus. The extraordinary focus on something and stay focused on it through the learning curve of initial failure and disappointment. By staying focused over time, they develop mastery. This is true in every area of your life. Having a world class relationship. Being fit. Making an impact. Being a leader. If you give laser focus to your goal and stay focused over time, you will have mastery. Assignment: What is your highest priority? Write it down. Next, write down what focus would look like and determine to do whatever it is that you come up with.